Overflowing with such beloved songs as "My Favorite Things" and "Climb Ev’ry Mountain," this heart-warming family musical tells an inspiring story of the discovery of love – and a daring bid for freedom. Enjoy a special Halloween dress-up performance on Saturday, October 31 at 2 pm! Come in costume and enjoy the show, along with a themed cocktail and café menu. Bonus: All kids get a complimentary treat bag courtesy of Rhéo Thompson Candies! This production uses strobe lighting and fog effects. Production support is generously provided by the Harkins/Manning families in memory of James & Susan Harkins and by Riki Turofsky & Charles Petersen. Support for the 2015 season of the Festival Theatre is generously provided by Claire & Daniel Bernstein. 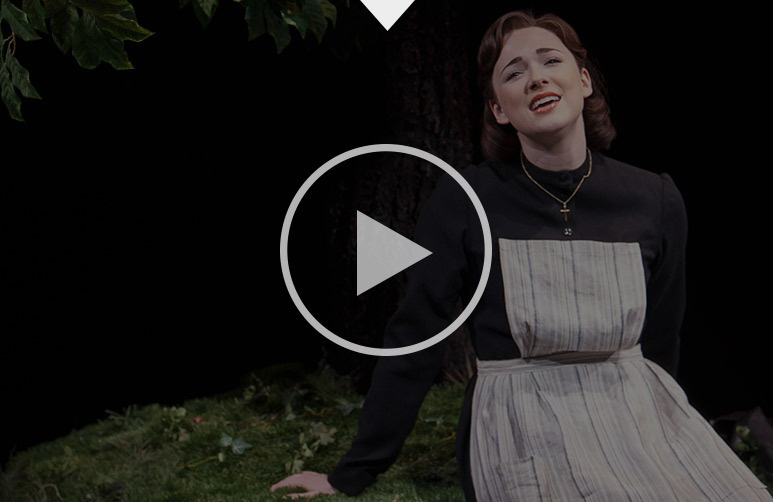 Stephanie Rothenberg as Maria Rainer in The Sound of Music. Photography by David Hou. Ben Carlson as Captain von Trapp and Stephanie Rothenberg as Maria Rainer in The Sound of Music. Photography by David Hou. Members of the company as the von Trapp children with Ben Carlson as Captain von Trapp in The Sound of Music. 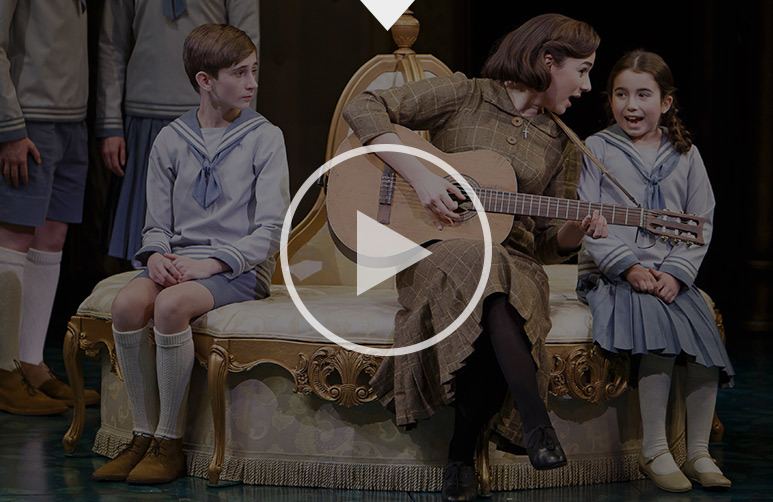 Zoë Brown (left) as Gretl von Trapp and Stephanie Rothenberg as Maria Rainer in The Sound of Music. Photography by David Hou. Robin Evan Willis as Elsa Schraeder and Ben Carlson as Captain von Trapp with members of the company in The Sound of Music. Photography by David Hou. Stephanie Rothenberg (left) as Maria Rainer and Anita Krause as Mother Abbess in The Sound of Music. Photography by David Hou. Stephanie Rothenberg as Maria Rainer and Ben Carlson as Captain von Trapp in The Sound of Music. Photography by David Hou. Alexandra Herzog (left) as Liesl von Trapp and Stephanie Rothenberg as Maria Rainer in The Sound of Music. Photography by David Hou. Peter Hutt (centre) as Herr Zeller with Gabriel Antonacci as Rolf Gruber and George McLeary as a Storm Trooper in The Sound of Music. Photography by David Hou. Members of the company in The Sound of Music. Photography by David Hou. Shane Carty (right) as Max Detweiler with members of the company in The Sound of Music. Photography by David Hou. Production video featuring the song "The Sound of Music"
Production video featuring the song "Do-Re-Mi"